My full-time day job took me to Augusta county today. 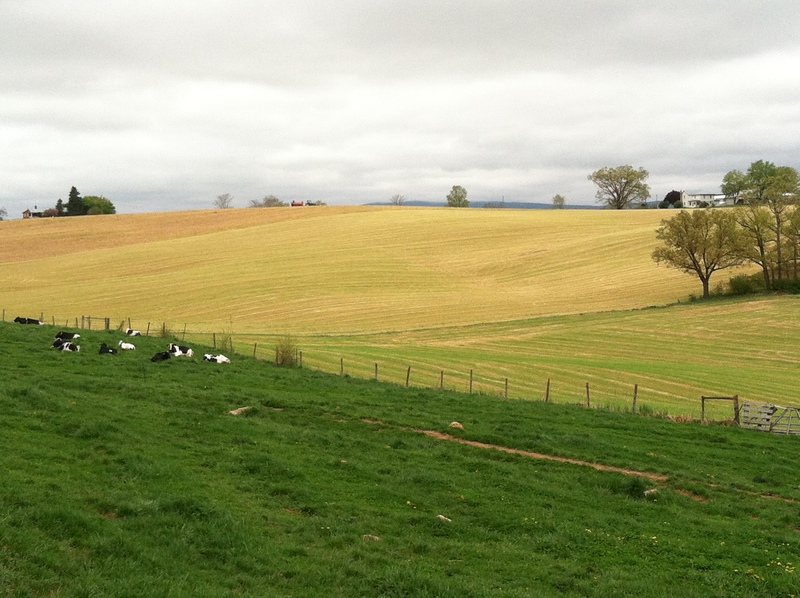 When I finished my job-related task, I took a slight detour north to Rockingham county to a produce supplier there for some farm materials (and a few things to experiment with). 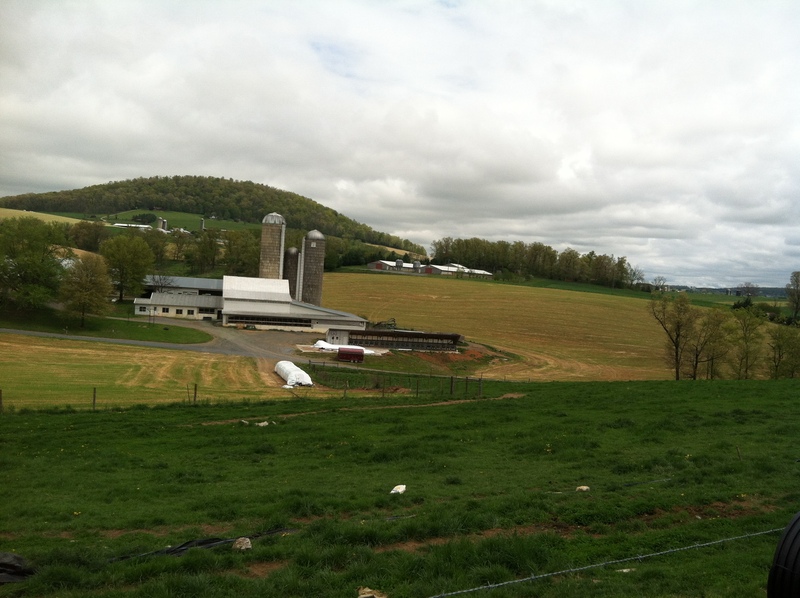 Located just outside of Harrisonburg, the produce supplier was situated in a beautiful valley. This region is strong in agriculture. 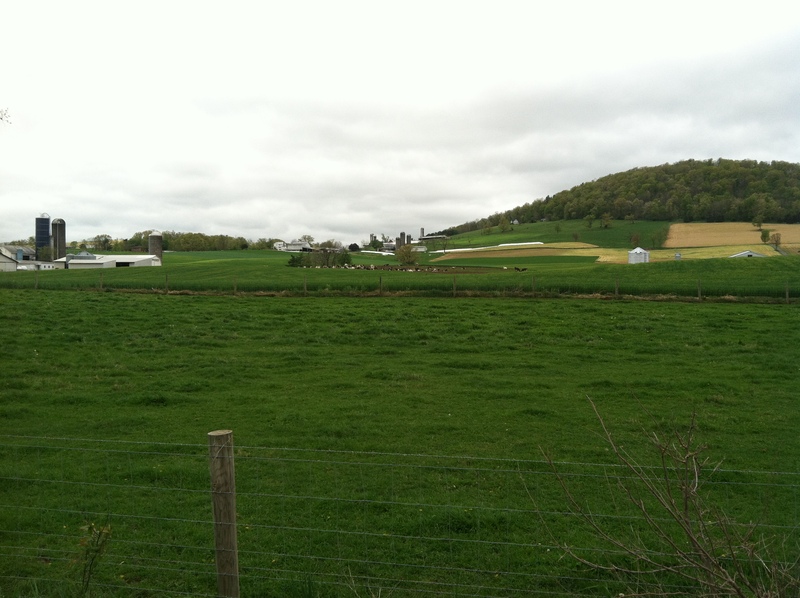 The shop was completely surrounded by small dairy farms, mostly Mennonite. Immaculate, lush and productive looking farms. Impressive bank and Dutch style barns (if i wasn’t driving, i would’ve photographed). I also passed some enviable produce gardens. For a gray and drizzly day, this area was a thing of beauty. View to the right of the store. View to the left of the store. I took a few back roads out of the verdant Shenandoah valley back towards the big city of Staunton when I had to stop for one more admiring glance.